(Rick Egan | Tribune file photo) Big trucks stay to the right, on highway 89, to merge onto I-15, because of the ban on big-rig trucks on the Legacy Parkway. Thursday, Feb. 7, 2019. The House Transportation Committee hammered perhaps the final nail in the coffin Monday in efforts to prevent big-rig trucks from rolling onto the scenic Legacy Parkway beginning Jan. 1. It voted 6-5 to kill HB339 by Rep. Melissa Ballard, R-North Salt Lake, who worried the big rigs will increase pollution, lead to noise walls that will ruin views of the Great Salt Lake and essentially convert a country road into another Interstate 15. Her bill would have extended the current truck ban another five years. The ban on trucks was part of a compromise 15 years ago between the state and environmental groups to end a lawsuit that had blocked construction of the 11.5-mile highway in Davis County. Besides the truck ban, the deal imposed a 55 mph speed limit, allowed only two lanes in each direction and mandated rubberized pavement to dampen sound — all to protect adjacent wetlands and wildlife. It also has included a system of trails, and needed no sound walls that block views. The deal expires Jan. 1. Ballard argued that residents in new developments lining the road were never informed that the truck ban and speed limit would disappear, and lifting it will drastically change their neighborhoods. 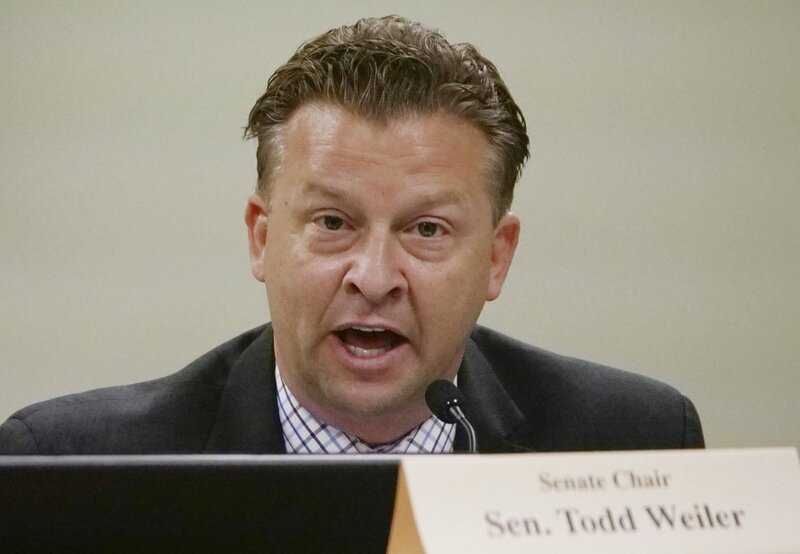 (Rick Bowmer, AP file photo) Sen. Todd Weiler, R-Woods Cross. But Rick Clasby, executive director of the Utah Trucking Association, said truckers opposed the ban originally, and have been waiting patiently for it to expire. “It has a lot of impact on our industry,” he said. “A deal is a deal.” Supporters of the new inland port in western Salt Lake City also said it is needed for that to succeed. Ballard argued that existing law allowed the state and UDOT to continue the ban if it found changed conditions warranted. But several lawmakers disagreed with her reading of the law, and said they could not justify changing the old deal now. “It’s time to say, ‘OK, time’s up.’ Our state is growing and we need to use this [highway] for the intent it was built,” said Rep. Kay Christofferson, R-Lehi. The Sierra Club of Utah, which led lawsuits that helped create Legacy’s eco-friendly design, says it is not ruling out new legal challenges to extend the truck ban and protect the area.